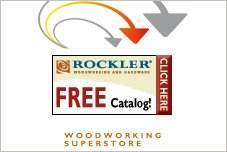 Whether you want to build a replica grandfather clock with intricate joinery and cabinetry or create a wooden wall clock, there are free clock plans that will add a decorator touch to your home or office. Purchase a plain, battery powered quartz movement and mechanism to add to your hand crafted clock. There are simple designs that are perfect for a beginner or advanced projects that require skill and time to create. 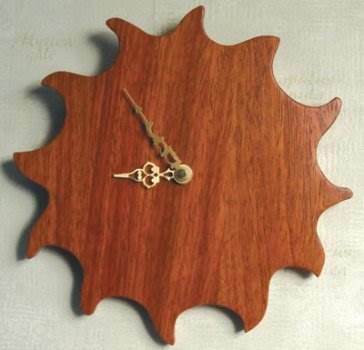 Scroll saw designs can be incorporated into your design and there are updated versions of antique clock models. Pick classic or steampunk, a simple desk clock or a mantle clock with a hidden compartment. 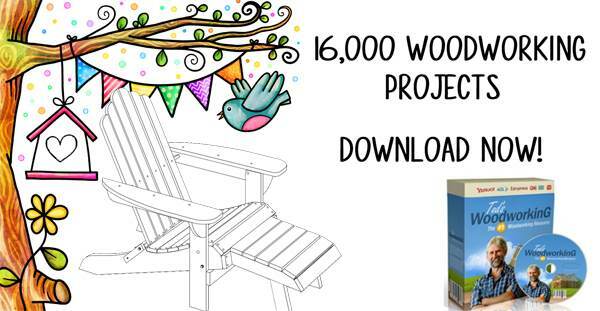 Whether you choose beautiful hardwoods or simple, clear pine you can build an attractive, functional timepiece, using free clock plans available with material lists, instructions and creative tips. Rich wood tones are created using red cedar, cherry, red oak and sassafras for a unique and handsome desk clock. 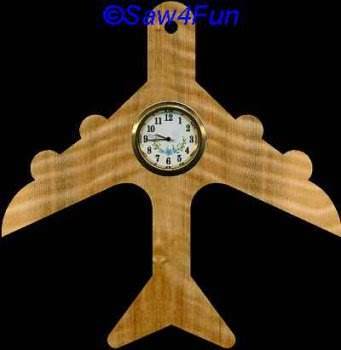 With the use of a scroll saw and this detailed plan you can create an Airplane clock for the enthusiast in your family. 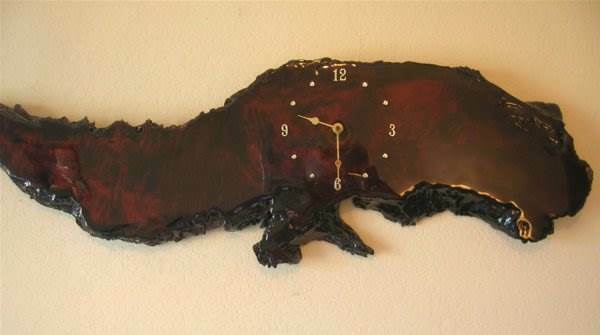 Turn a piece of burl wood into an eye catching wall clock using these easy to follow instructions. This detailed plan with pictures uses pine wood to create a handsome wall clock with three wooden pegs. Here is an easy weekend project that requires a band-saw and bobbin sander to make this attractive sun burst clock. 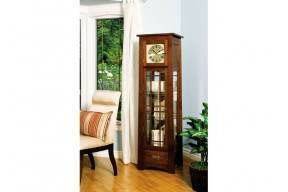 Built using quarter-sawn wood this beautiful clock has an enclosed display area for placing collectables or knick-knacks. 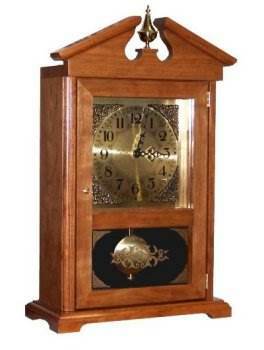 This plan will help you build a cherry wood mantel clock that has the same design as a grandfather clock. 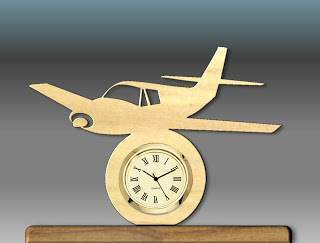 Use your scroll-saw to make this wooden plane then add a small insert clock for an Airplane wall clock for home or office. 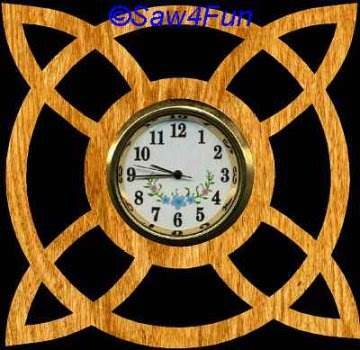 This attractive wall clock is made using layered wood with a cut out design achieved with a scroll-saw. 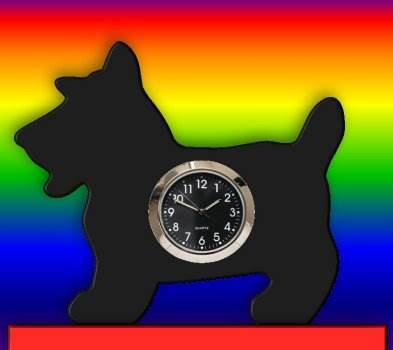 Using 1/4 inch stock or plywood cut out a Scotty dog then paint it black and add a micro-mini clock insert. 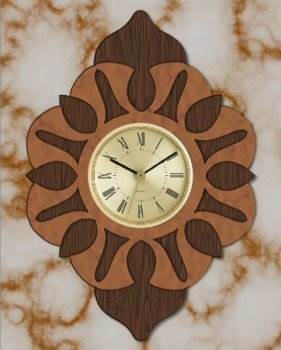 The geometric design sets this clock apart from other and is easy to create when following these detailed instructions. 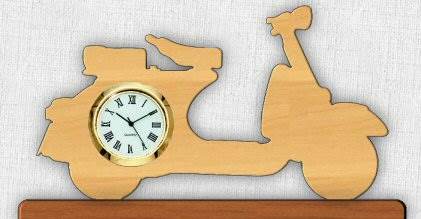 Here is a downloadable pattern to help you create this wall clock that is in the shape of a scooter. 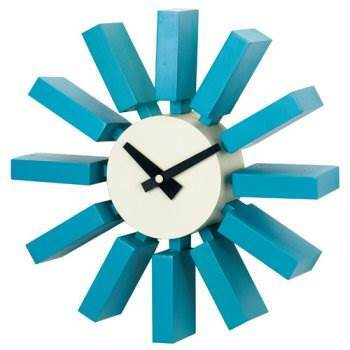 Turn blocks of painted wood, aluminum and a clock mechanism into a stylish wall clock for home or office. 4 variations of Grandfather Clocks to choose from.